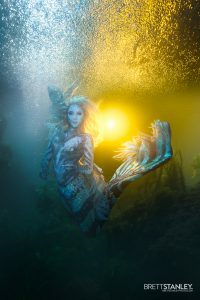 Underwater photographer Brett Stanley has teamed up with world famous mermaid, activist, and professional underwater model Hannah Mermaid, as well as award winning body painter Lana Chromium to bring you an underwater workshop like no other. 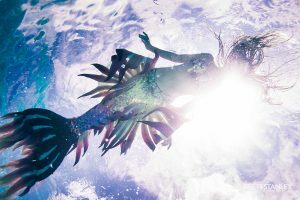 Do you dream of being a mermaid and slipping away into the ocean? 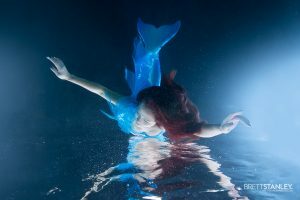 If you have ever wanted to learn how to swim gracefully in a mermaid tail, extend your breath-hold, and get some amazing pictures then this is for you! 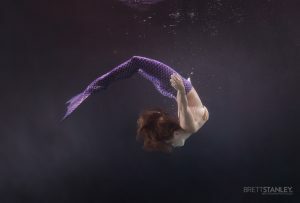 All experience levels are welcome, from the beginning first timer to long time mermaids, there’s always something to learn and Hannah has over 15 years of mermaid experience (she made her first tail at 9!). Then Brett will take you through the photoshoot process, directing you and making sure you’re looking your very best! 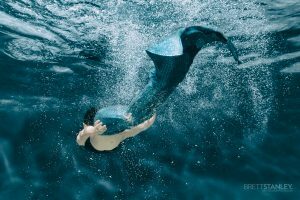 His relaxed style will put you at ease and allow you to simply enjoy the dreamlike feeling of swimming in your tail. 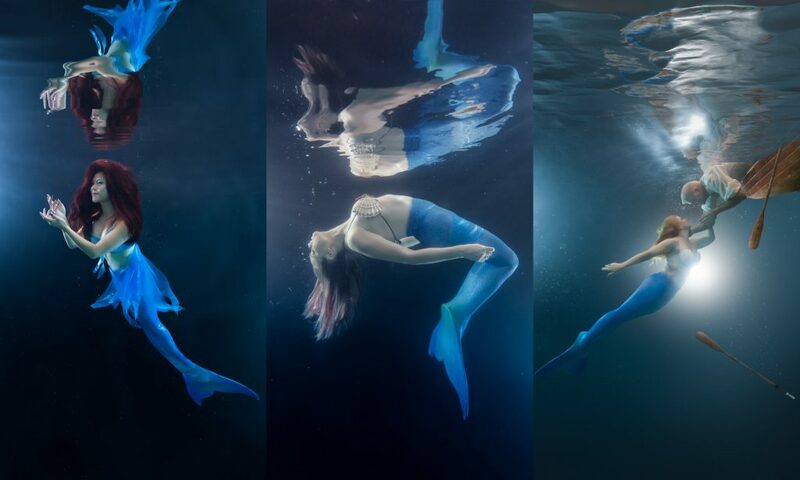 A few lucky attendees will also be able to book body paint with Lana and she will spend 2 hours designing a custom artwork to match your tail. Lana’s skills are perfect for this theme as her organic shapes and colours perfectly mimic the ocean. 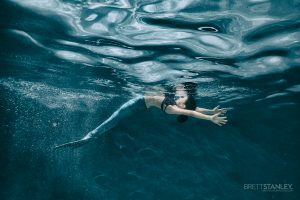 We are so lucky to have Hannah take time out of her busy schedule for this workshop, along with Brett, so we’ve put together a package that will no doubt leave you wanting more! 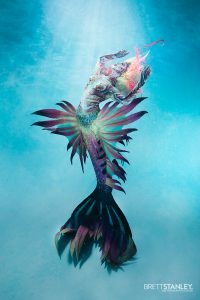 Lana will create a one of a kind, full colour artwork on your torso, taking inspiration from the ocean to match your mermaid tail. 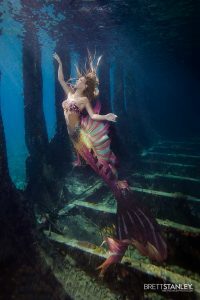 See more of Lana’s work here. 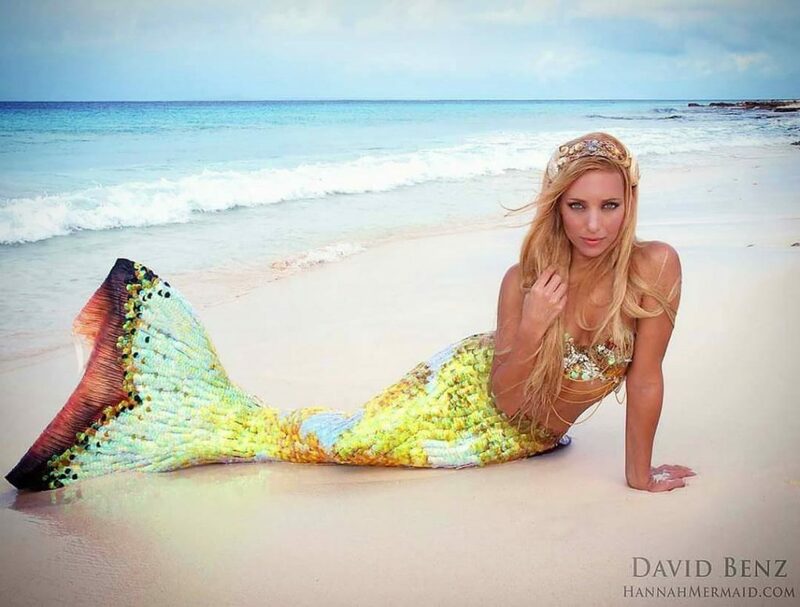 Hannah Mermaid has been featured worldwide for her underwater ocean conservation and performance art, creating her own spectacular tails, performing for film, music videos, campaigns, photo shoots, public speaking events, festivals & environmental actions. 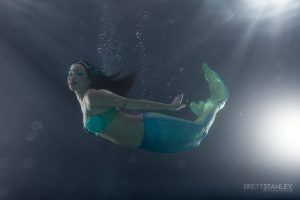 She swims with sharks, whales dolphins, seals, turtles, rays and more in the open ocean. 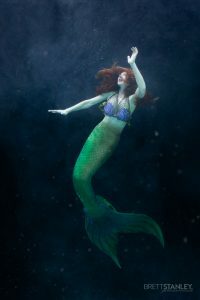 Hannah can hold her breath for minutes at a time and freedive to depths of over 50 feet. 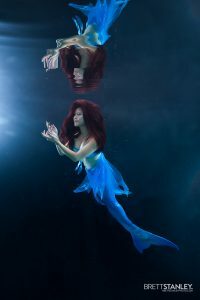 She broke records as the first person to dance with Tiger Sharks on the ocean floor with no scuba or snorkel gear, and was part of an activist group who paddled out to protect dolphins from slaughter in the academy award winning film ’The Cove’. She released a short film called Mantas Last Dance that propelled Manta rays into the public eye and helped pass a law to protect mantas worldwide. 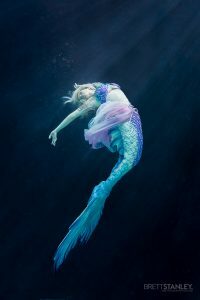 She is an advocate for ocean protection, female empowerment, animal conservation and universal love! 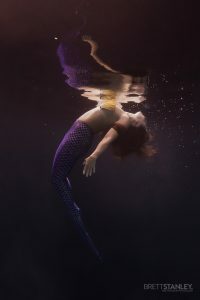 Brett Stanley is a professional underwater photographer whose innovative work has been published worldwide in magazines such as Cosmopolitan, D-Photo, Gothesque, Dark Beauty, and features regularly on television . 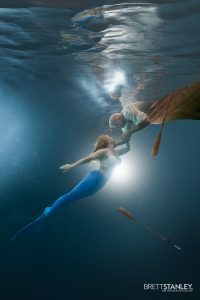 After falling in love with underwater portraiture in 2013 Brett made the move from New Zealand to Los Angeles, and his career has taken him to many countries around the world. His relaxed style of instruction creates a safe and enjoyable environment for his clients, many of whom can’t even swim. 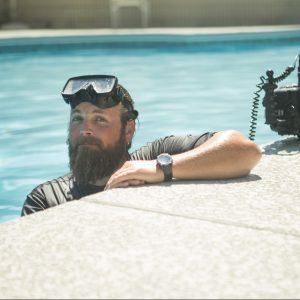 Brett’s goal is to bring the underwater experience to anyone who dreams of the surreal and fantastic. 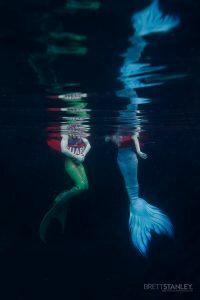 Lana Chromium, born and raised in Russia, studied art in Penza & Moscow before moving to California and immersing herself in body painting. 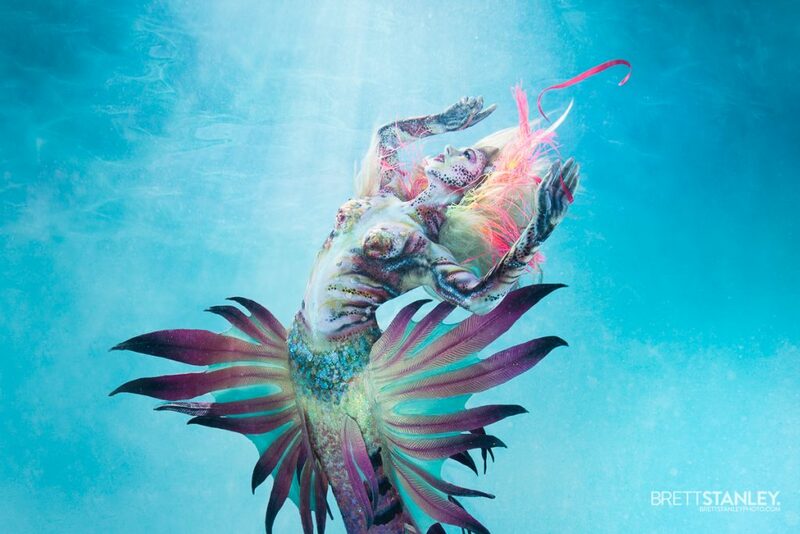 Chromium competed in Living Art America: The North American Bodypainting Championship from 2013-2015. In 2015, she won the second season of the Game Show Network’s Skin Wars. Chromium premiered her signature brush line with Royal & Langnickel at IMATS L.A. 2016. 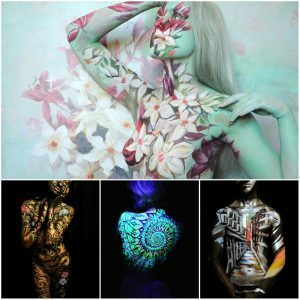 In 2016 – her team took 3rd place in Art Installation award at World Bodypainting Championship WBF in Austria. See her portfolio, her Youtube channel, and instagram.